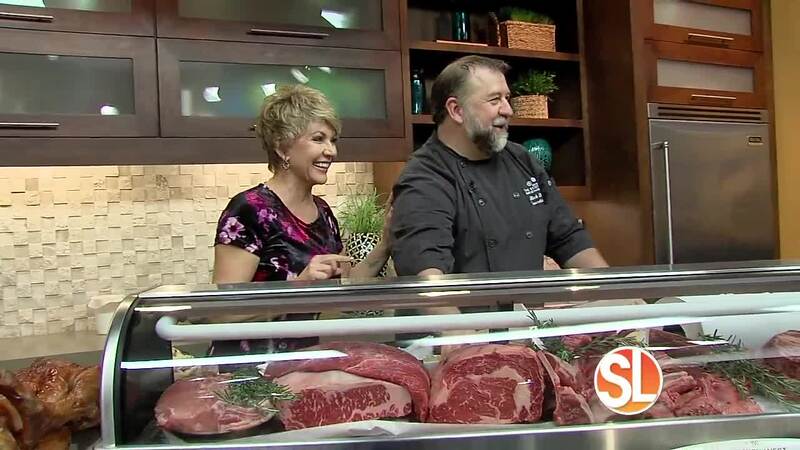 Chef Rick from Kitchen West Restaurant at The Scottsdale Resort at McCormick Ranch talks about fall dishes. Grind garlic into a paste with mortar and pestle. Add a squeeze of lemon. Slowly add oil. Continue incorporating olive oil, teaspoon by teaspoon, grinding and stirring until aioli forms. If too thick, add more lemon. Delicately stir in the grated parmesan cheese. Place all ingredients, except the canola oil, into a bowl. Using a whisk slowly add the canola oil until you start to see some emulsification. Add salt and pepper to taste. Enjoy. · 1 ¾ cups sliced, blanched almonds blanched. Preheat the oven to 350 degrees F. Line a baking sheet with parchment paper. Pulse the almonds in a food processor until finely chopped but not pasty. Stir together the nuts, flour and salt in a large bowl. Put the sugar, cream, corn syrup and butter in a small sauce pan. Cook over medium heat, stirring occasionally, until mixture comes to a rolling boil and the sugar is completely dissolved. Boil for one more minute, remove from heat and stir in the vanilla. Next pour mixture into almond mixture and stir just to combine. Let cool for 30 minutes or able to handle. Roll the batter into balls, place them on the parchment paper, leaving 3 inches between each cookie since they will spread. Bake for 10 to 11 minutes rotating them half way so they will flatten out evenly. After 5 minutes of cooling, remove them and place on a cold baking sheet. Serve and enjoy. Add salt and pepper to taste. Make sure that your BBQ is very hot to give you beautiful grill marks. 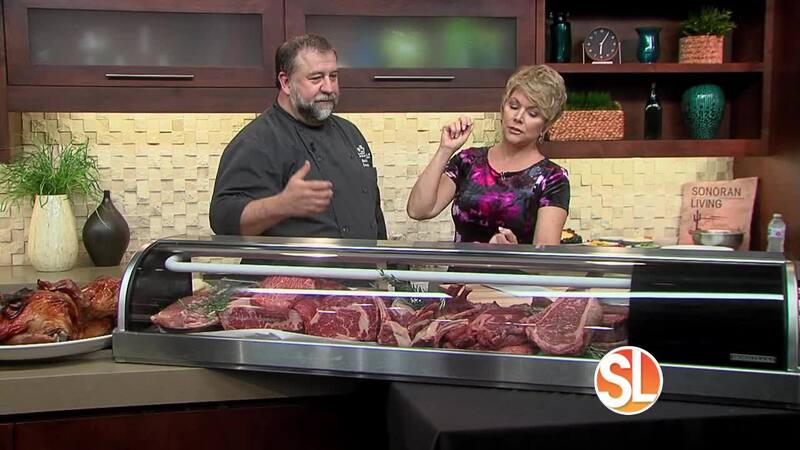 Place the tomahawk on the grill to get your marks, then move to a cooler part of the grill for ten more minutes to get a perfect medium rare. Take it off the grill and let rest for five minutes. Slice off the bone and thin slice the meat. Place the meat on the serving dish with the maître d butter and serve. Keep the butter out for one hour until arrives at room temperature. Place everything into a mixing bowl. Add all other ingredients and mix well. In a pastry bag, pipe the mixed butter on to wax paper then roll into logs. Freeze and cut them to quarter inch wheels.